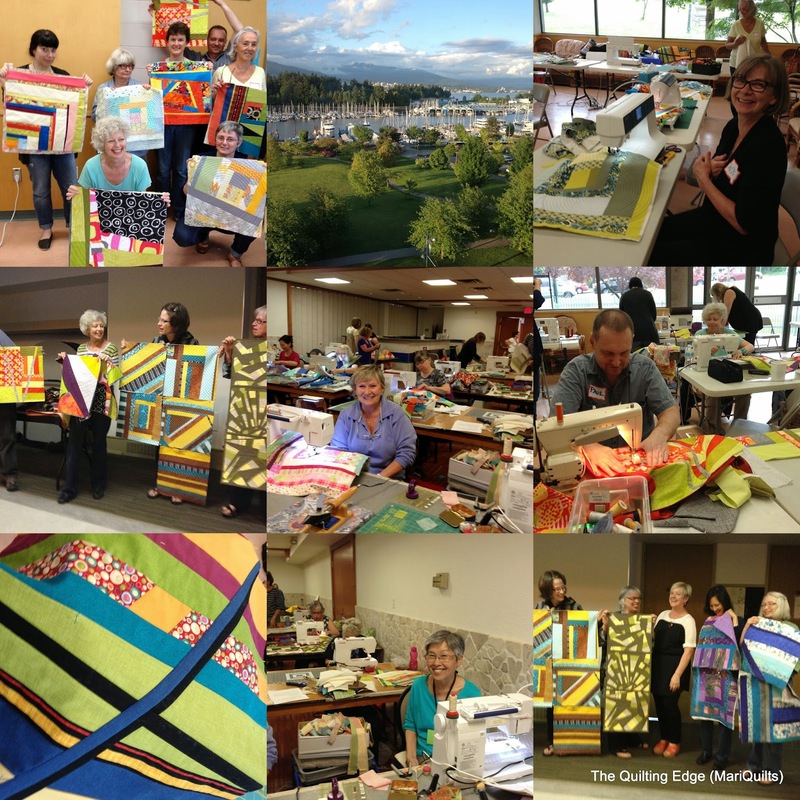 The Quilting Edge: Well, It's Been a Year!! Well, It's Been a Year!! Another first......THE TREE WENT DOWN ON BOXING DAY. Yikes, that's never happened before. Well, my husband was in a mood to paint and one really needs to take advantage of that type of mood. That would be the reason to dismantle Christmas so early.....works for me!!! You don't have to call me twice, when it's my studio being painted!!!! Look at all that yummy trim!!! The downside.....there is a downside??? Of course, that goes without saying. I had to take down all my design walls and revamp things somewhat. So with all that vim and vigor I redid my design walls. I decided on one really large, black one (there it is partially up) behind the couch....since everything slides like butter, on the new cork floors, it should be easy to push it forward a few feet when working on large quilts. I have a smaller beige one beside the cutting table....that should do me. Sadly, one only has so much wall space. So, what was my year like in Quilts......well, not really high in number. Besides quilting, I did get a few wonderful opportunities to share my personal quilting journey. Meeting so many wonderful quilters, during the workshops I taught, was definitely a highlight!!! On a personal level....there was loss. Today, was the first New Years Day, without calling my Mom (something, I did every New Years Day since leaving home at the age of twenty). I wish you all the best, for the New Year. Happy New Years to you too and I hope to see a lot more of you this year!! Wishing you much health and creativity in 2015. I thoroughly enjoy your postings and love your quilting expertise. Thanks so much for sharing your journey, Marianne. And here's to a fabulous, creativity-filled 2015! Happy New Year Marianne. I'm looking forward to this years creations from your new space. Those firsts are the hardest. I look forward to your creative journey this year. Your studio is looking so good and I love seeing your beautiful quilts. I wish you the best for this coming year. Happy new year! When your hubby is done painting the studio he can come to my house! The living room has been half painted for about a year now! Mari, I, too, share in the 'first time without' feelings. The holidays are hard. On a fun note, who has a yellow couch?!? Love, love, love it! Lucky girl with a studio like that. Seems like lots of us have walked parallel lives this year. Make the best of times in the worse of times right?